The Exurbs are populous, with 34 million people, and relatively wealthy, with a median household income of about $65,500. Though there is sprawl here, the counties’ rural attributes and their less-diverse citizenry lead the Exurbs to be pretty comfortably Republican in their presidential vote. Donald Trump won these counties by more than 17 percentage points in 2016. These 222 counties generally lie on the fringe of major metro areas, in the space between suburban and rural America — with some more densely settled areas and some sparser areas. 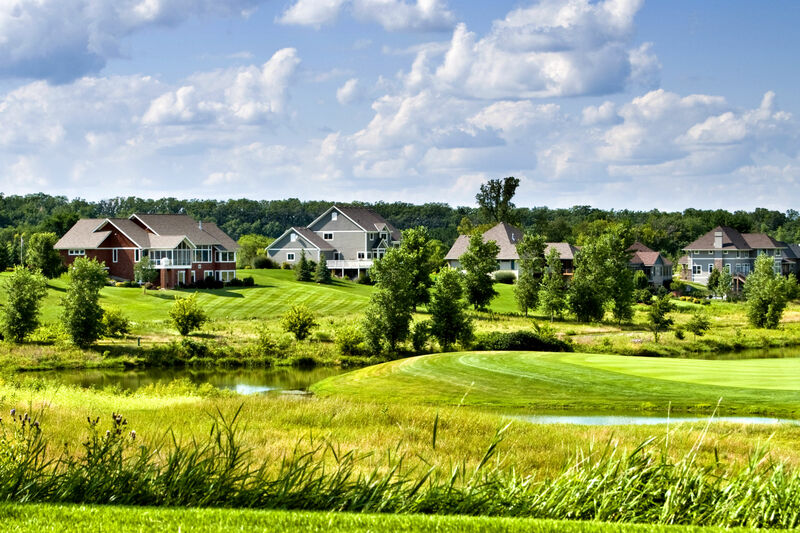 People residing in the Exurbs are among the most educated in the American Communities Project (ACP), with just over one third of the population holding a bachelor’s degree. The wealth in these communities extends to children as well, affording a child poverty rate that is roughly two thirds of the national average. These communities are relatively safe places to live, with violent crime rates averaging 188 reported violent crimes per 100,000 people, less than half the national average. Located on the outskirts of metro areas, many people in the Exurbs tend to have lengthy, solo commutes—10% more on average than the rest of the nation. Access to physicians is slightly below average here, with an additional 380 people per primary care physician compared to the U.S. as a whole. Mental health providers are even more scarce, with nearly 75% more people per provider than the rest of the country.